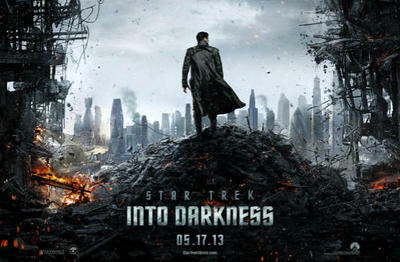 While Apple might not have had us laughing like Samsung did with a Super Bowl ad this year, it secretly hid its latest public offering at the end of the most recent Star Trek: Into Darkness TV spot. As pointed out by CNET, this teaser trailer shows off just a little bit more than a rather typical-looking Hollywood sequel to a reboot. 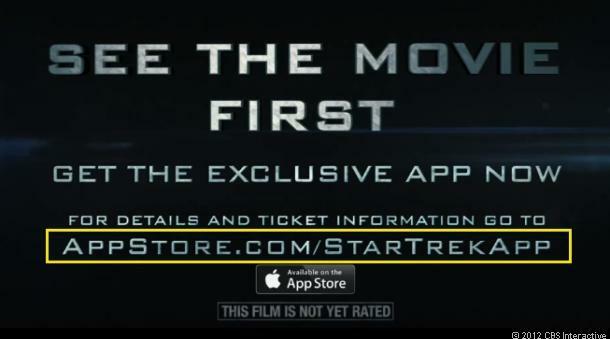 At the end of the trailer, a link for more information on the film is displayed simply as appstore.com/StarTrekApp. While seemingly uninspiring at first, this new user friendly URL is a first for Apple as the ability to make these simple addresses only recently became available. The newer layout was designed to make app URLs more memorable and easier for phone owners to pick up and write on the fly. Apple has also acknowledged the new URLs by publishing a Q&A on how developers can link their iTunes addresses to the new appstore.com. Any small developer looking to increase traffic on their up-and-coming apps can go ahead and make them right now. Super Bowl ads cost roughly $4 million for 30 seconds of air time, so we wonder if Apple helped Paramount pay for the ad. It certainly beats paying full price, right? The two minute teaser set back Paramount $16 million. How much do you wager the small plug cost Apple, if anything at all?